We bring in two of the Omaha designer teachers in Ashley McFeely and Jim Wolf. We speak teaching, special topic courses, and Jim’s internship. Enjoy. It’s our eight (eleventh (xi!) for those hanging around since the BADCast days) yearly check out some ads during the football game. This is always one of the most fun shows to record – I hope it comes off as such. Once again, Tom Nemitz leads a discussion with myself, Kassy Dorsey, Steve Gordon, Chris Kelly, and Ashley McFeely. Enjoy. It’s our yearly check out some ads during the football game, and lets talk about them. Once again, Tom Nemitz leads a discussion with myself, Aaron Stubbe, Chris Kelly, and Ashley McFeely. Enjoy. 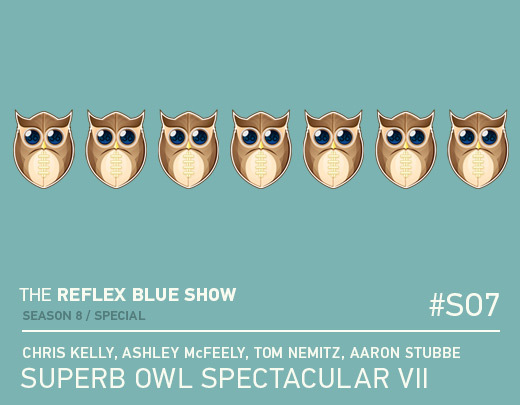 Welcome to Season 8 of The Reflex Blue Show! No idea what we have planned for this season, but we’ve started it anyway. 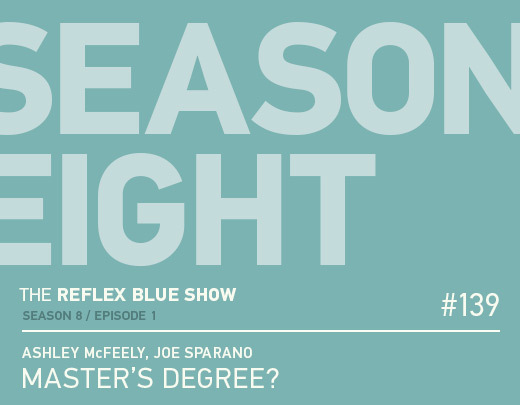 On this episode we invite Ashley McFeely and Joe Sparano to talk about what they’re doing now – going for that Master’s. Joe left the state – Ashley had to continue into a related field to stay in the city. What’s it like to continue on the education path, and why would you do it as a designer? We speak of these things and more. Enjoy. 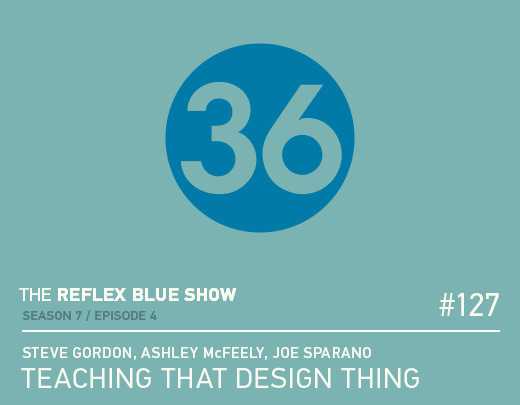 In our final show before our recaps from the HOW Design Conference in Boston start up, we bring in a great group of guests : Steve Gordon, Ashley McFeely, and Joe Sparano. We speak mostly about teaching design in this fun episode. Next week we’ll be releasing two new Why I Design episodes. And after that, we’ll see you in Boston!